Nursing home residents usually have health issues that make it difficult for them to care for themselves. In their weakened state, any physical or medical injury could have devastating consequences, many of which are fatal. When a family put their trust in a nursing home to take care of their loved one, it is because of a promise the facility makes to take care of that person. When that loved one dies because of carelessness or negligence, that promise is broken. Maryland law allows the family to file a wrongful death claim to seek compensation for their loss because of that broken promise. 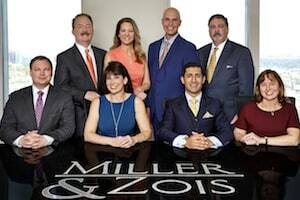 Who are the beneficiaries in a death claim in Maryland? When a nursing home resident dies at a long-term care facility because of mistakes made by the staff at that facility, Maryland allows the family to recover for the pain they feel as a result of the loss of a loved one. This is called a wrongful death claim. To succeed on a wrongful death claim, the family has to prove that the facility or its staff was somehow negligent or careless in the treatment of their lost loved one. If there is evidence of negligence, the next step for the family is to prove that the negligence was the cause of the injuries that resulted in the death of their loved one. If that can be established, the family is entitled to be compensated for their emotional loss as well as for any death-related expenses such as a funeral bill. The nursing home staff ignores the severity of the patient's condition and decides to play doctor. Our law firm has handled many fatality cases with this exact scenario. A nursing home resident who has severe balance issues is left unsupervised while walking and falls, striking her head and later dying. A nursing home resident who is having respiratory distress issues is not treated in time, causing her condition to worsen until she tragically passes away. A nursing home resident develops a serious bedsore, but the staff fails to address and treat the sore, allowing it to progress into an infected wound that leads to the resident’s death. Daphne is 76 years old and has diabetes. She has severe difficulty walking on her own, so her family decided to admit her to a nursing home in Baltimore. The staff seemed pleasant enough and assured the family that they would take Daphne’s balance issues seriously and ensure that she is assisted in walking. The staff also promised to address Daphne’s weight issues as best they can. For the first few weeks, everything goes perfect for Daphne. But one day, she decides she is tired of lying in bed and decides to take a stroll. Daphne’s nurse is playing on her cell phone and fails to notice Daphne exiting her room and walking down the hallway. Daphne does not make it very far. She slips on a wet spot, smashes her forehead against the floor and is left unconscious. She is rushed to a nearby hospital where she is diagnosed with a severe brain bleed. Despite the efforts of the doctors at the hospital, Daphne tragically dies. Daphne’s family should be able to file a wrongful death/survival action claim. The nursing home staff’s failure to monitor Daphne, in spite of their knowledge that she could not walk on her own, is negligent. Also, the staff failed to notice and clean up the wet spot on the floor that caused Daphne to slip. If the family can prove that the fall caused her death, they likely can succeed on a wrongful death claim against the nursing home. We often give a trite speech about how you need to use caution when posting sample verdicts and settlements. This speech holds particular force in Maryland nursing home cases. Why? Because most of these cases reach a settlement. One Harvard study shows that only 8% of the filed nursing home cases ever make it to trial. The statistics are probably much lower in Maryland because of the hoops lawyers have to jump through before filing suit. Those claims that settle are rarely reported. The nursing home lawsuits our law firm settles are invariably subject to confidentiality clauses. This means we cannot offer the type of details about our cases and the defendants that would give more illustrative flavor to why the case was valued as it was. So the take-home message is that while these examples are instructive in giving lawyers and the families of victims some insight into the range of value of these cases, that should be taken with several pinches of salt. Our nursing homes are a mess in Maryland. Meritorious nursing home lawsuits do more than just give more to the victims. These claim help police a nursing home industry rife with corruption, negligence, neglect, and abuse. Maryland $1,000,000 Verdict: An 86-year-old woman, residing at Defendant Hart Heritage of Forest Hill in Hartford County, dies a day after being discovered ill by an aide. The family files suit on behalf of her estate. Plaintiffs' wrongful death lawsuit alleges that an aide notices the elderly woman to be cold, clammy, sweaty, and feverish. A certified medicine aide was to examine the woman but fails to do so. No mention of the woman’s condition is documented during the staff changeover. Later that evening, the woman is discovered to have experienced multiple bouts of diarrhea, vomiting, and suffering from rectal bleeding. Several aides notice that she needs to go to the hospital though the paramedics are not called. The woman continues to suffer rectal bleeding throughout the night until her son arrives at 8 am the next day and a doctor is contacted. The doctor instructs that she be taken to a hospital, but it is too late. The woman dies before paramedics arrive. The defense claims that the woman’s son is contributorily negligent. In 2014, the jury finds that the Defendant breached the standard of care, causing the woman’s pain and suffering, however, does not find them guilty of her death. As such, damages are only awarded to the woman’s estate. The $1 million award is reduced to $710,000, the amount allowed under Maryland’s cap on medical malpractice damages. Maryland: $350,000 Settlement. An active 90-year-old man with a wonderful family dies after a head injury caused by falling backward off of a stand-up scale striking his head on the floor. A small subdural hematoma followed which caused a toxic effect to the man's brain. The geriatric nursing assistant ("GNA") who weighed the man was standing in front of the scale looking down at the piece of paper that she was using to record his weight when he fell. The GNA never even saw him fall. Making matters worse, his dehydration was so severe upon arrival at the hospital he could not be rehydrated. Maryland: $1,300,000 Verdict. A Montgomery County resident underwent a right hip replacement at Montgomery General Hospital. Following her surgery, she allegedly developed a bed sore that led to an infection. She was then transferred to Manor Care Nursing Home to recover. While there, she was placed in a room where the conditions allegedly caused her hip wound to become infected and allowed her to develop brown-colored infected drainage at the site of the wound. 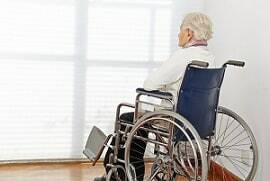 As a result of her alleged bed sore and subsequent wound infections, the resident passed away, and a wrongful death claim against the nursing home was successfully filed. Maryland: $625,000 Settlement. A retired female diagnosed with Alzheimer's disease suffered death after an employee of the nursing home at which she resided put her in restraints and set her on fire. Evidence revealed that the employee could be classified as mentally unstable. The plaintiff alleged that the nursing home was negligent in hiring, training, and supervising her. A successful wrongful death claim was filed against the nursing home. District of Columbia: $1,340,000 Settlement. A 70-year-old male who resided at a D.C. nursing home lost a significant amount of weight while there. He also suffered from dehydration, multiple bedsores, and severe skin breakdowns. His legs were eventually amputated because of the severity of skin breakdown on his legs. He developed sepsis and eventually died. A successful wrongful death claim was filed which alleged that the staff failed to provide adequate care. Get more wrongful death settlements in the Baltimore-Washington area. Our law firm handles nursing home wrongful death cases in the Baltimore-Washington area. If you have lost a loved one as a result of negligence in a nursing home, get a free consultation and find out what your options are. Call us at 800-553-8082 or get a free case evaluation online.